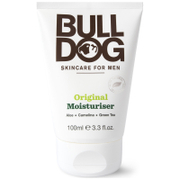 Made in the UK, the Protective Moisturiser from Bulldog contains nine essential oils, including bergamot and ginger to intensely hydrate skin. 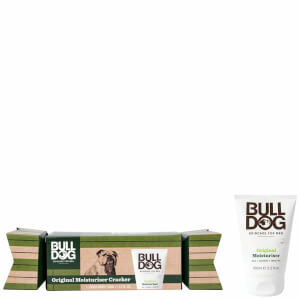 Specially formulated with anti-inflammatory aloe vera and soothing green tea, the non-greasy cream heals razor burn and irritation to leave skin feeling comfortable all day long. 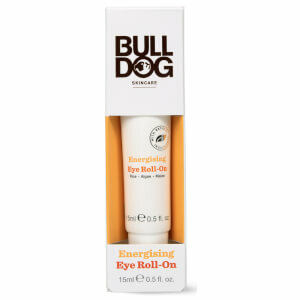 Delivers a broad spectrum SPF15 to shield skin from the sun's harmful rays, ideal for outdoor activities, sport and leisure. E.N. Use morning and night. 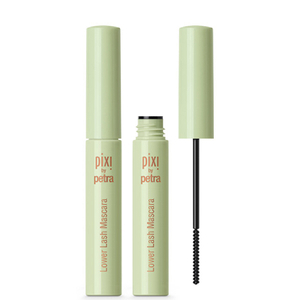 Apply evenly to face and neck. Aqua (Water), Aloe Barbadensis (Aloe Vera) Leaf Juice, Octocrylene, Ethylhexyl Salicylate, Ethylhexyl Palmitate, Caprylic/Capric Triglyceride, Butyl Methoxydibenzoylmethane, Glycerin, Sodium Polyacrylate, Sorbitan Stearate, Pentaerythrityl Distearate, Phenoxyethanol, Sodium Stearoyl Glutamate, Benzoic Acid, Carbomer, Tocopherol, Mannan, Dehydroacetic Acid, Camellia Sinensis (Green Tea) Leaf Extract, Sodium Hydroxide, Citrus Aurantium Bergamia (Bergamot) Peel Oil, Citrus Limon (Lemon) Peel Oil, Potassium Sorbate, Artemesia Vulgaris Oil, Juniperus Virginiana Oil, Pelargonium Graveolens Oil, Pogostemon Cablin Leaf Oil, Pogostemon Cablin Oil, Citric Acid, Citrus Aurantifolia (Lime) Oil, Vetiveria Zizanoides Root Oil, Zingiber Officinale (Ginger) Root Oil, Citronellol, Limonene, Linalool. 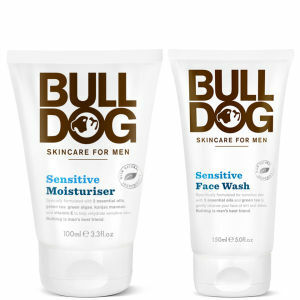 Save 25% on Bulldog Skincare for Men. Discount has been applied to the RRP. Offer valid for a limited time only.